Presente | Banning books. Erasing History. 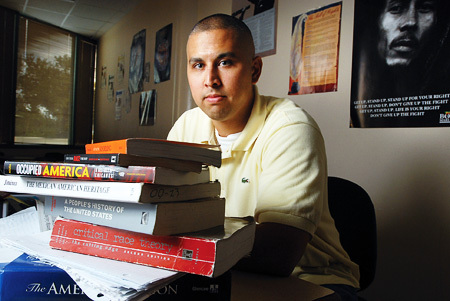 Save Ethnic Studies in Arizona. Banning books. Erasing History. Save Ethnic Studies in Arizona. Tucson's Mexican American Studies program gave Latino students a sense of pride and connection to their own history and other students were offered an insight to a community that is a huge part of the local culture but all too often demonized. I am appalled that the Tucson school board, under your leadership, has removed books dealing with race and Latino history from classrooms and cancelled Mexican American Studies courses. We're demanding an immediate reversal of the ban and that the Tucson school board reinstate the program.